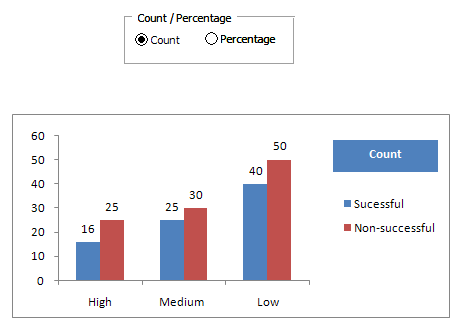 This tutorial explains how to change chart from count to percent using Options Button. 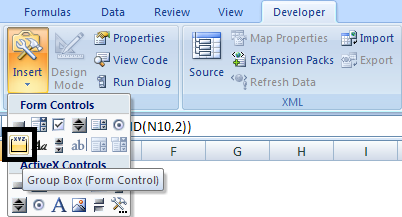 Like drop down, the Option Button form Control allows the selection of a single item from a list of items. When one item is selected, the other remaining options would be unchecked. 3. 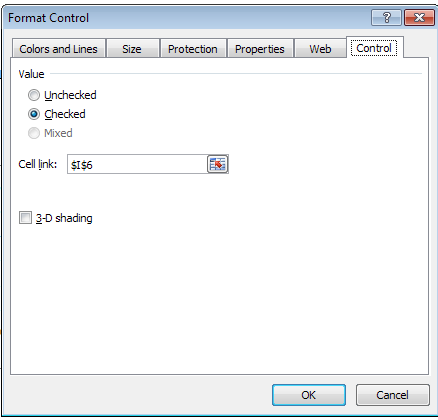 Right click on Options Button and go to Control tab and give cell reference (say, $I$6) to Cell link. It is used for grouping similar controls so that functional groups of controls can be maintained and the users flow is directed around a form. 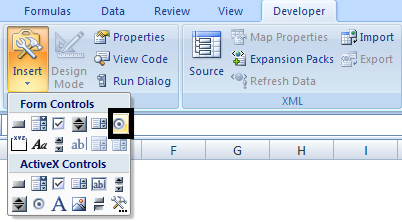 Select Options Buttons and Group Box by using CTRL SHIFT shortcut keys and then right click and click on Group. If a cell value is whole number, then add number format. Otherwise, use % format. Select chart range and then press ALT N C and select column chart. 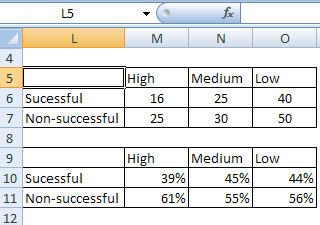 0 Response to "Excel : Change Chart from Count to Percent Using Options Button"